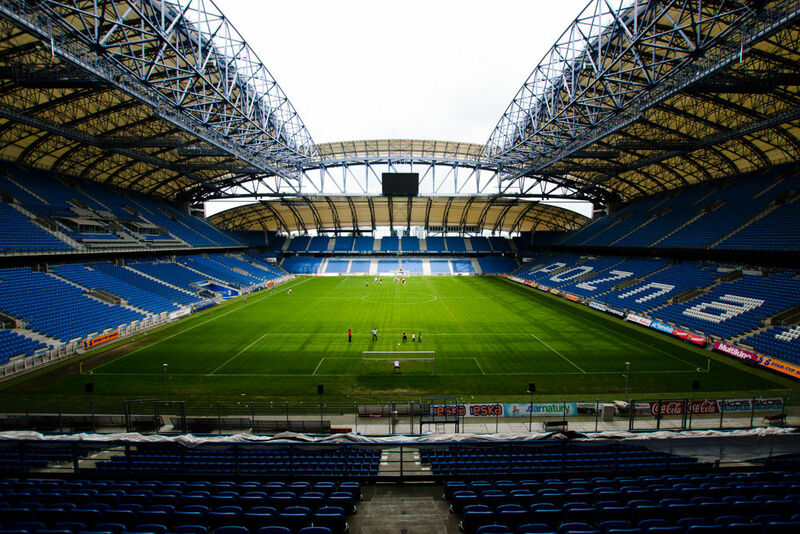 The revamp began in 2003 with works on a new fourth stand that would close the horseshoe shape of three other stands, raised on artifficial hills. What was supposed to be „just” the last stand of the old stadium, proved to be the first one of a completely new ground. 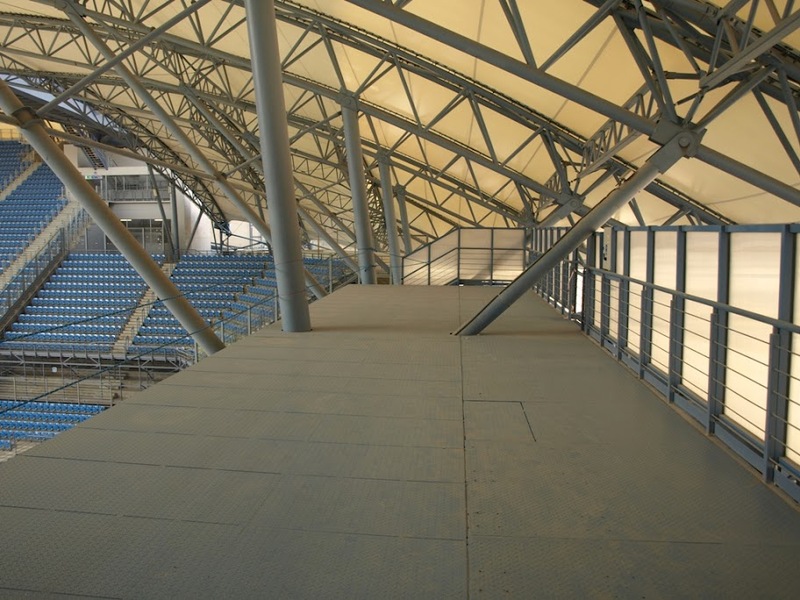 Architects of local Modern Constructon Systems studio quickly created a vision of a roof covering all stands, but that proved to be impracticable, forcing the designers to find a different solution. 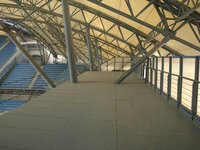 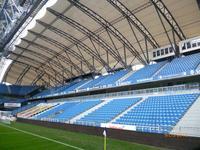 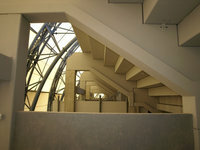 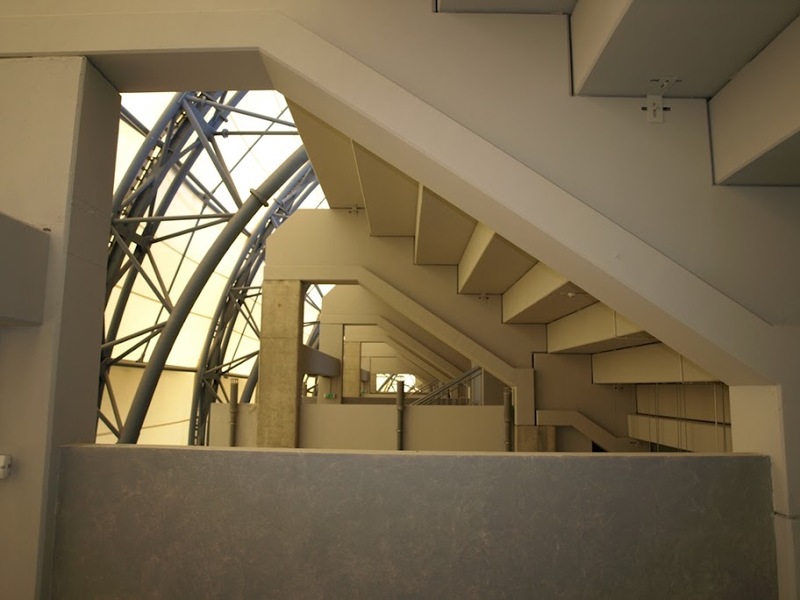 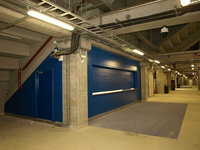 It was decided that all four stands be covered with light membrane, however the shape of stands itself was not settled. 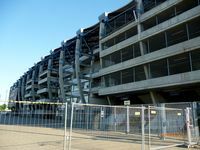 During work, which was divided into three phases, it changed several times, resulting in current, asymetrical shape of the ground. 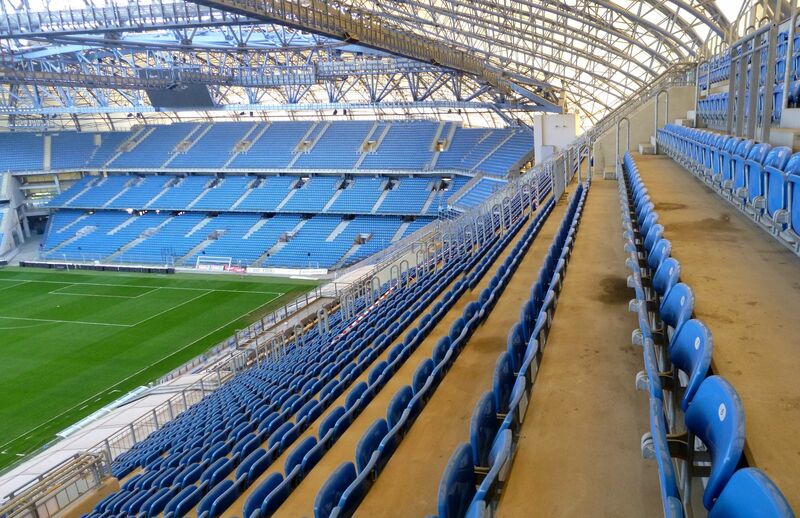 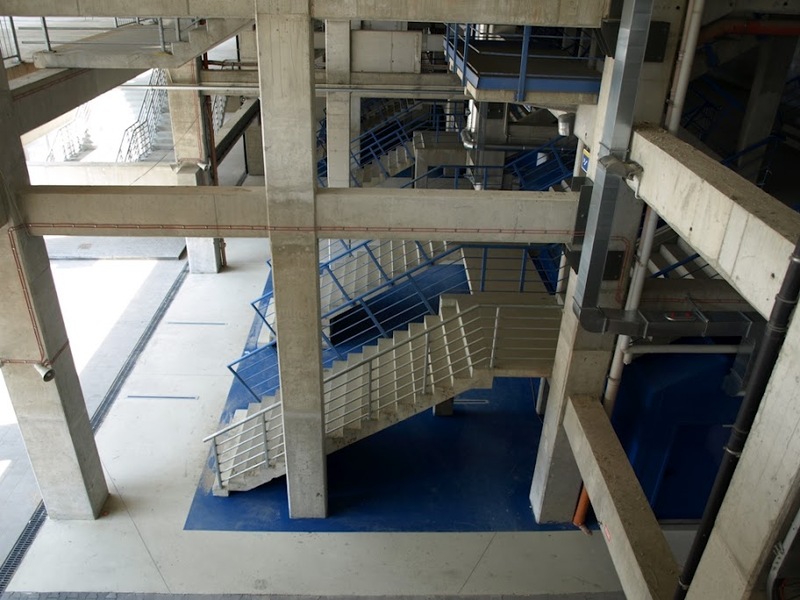 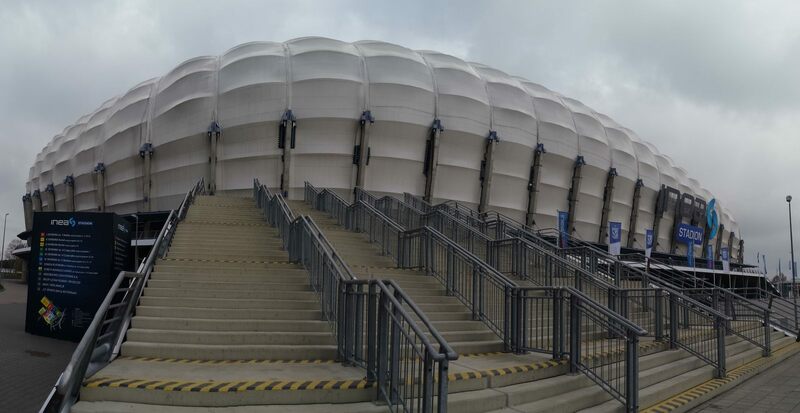 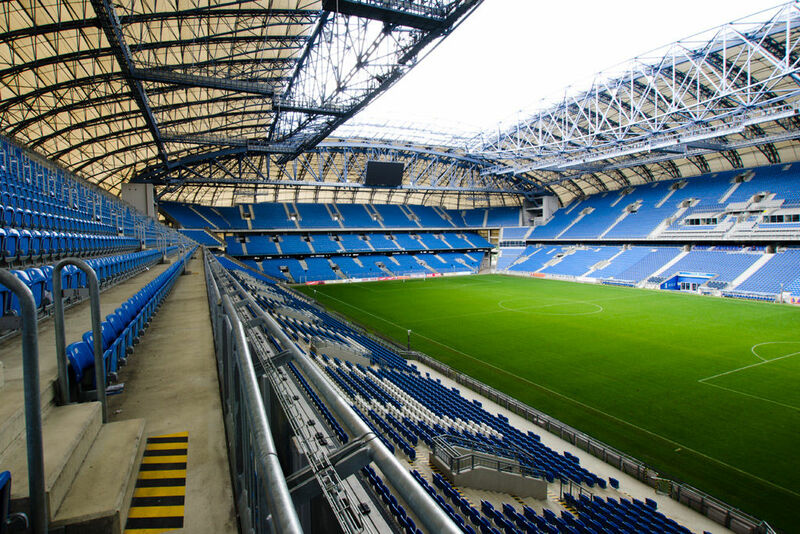 The first, northern stand (IV) is two-tiered, second southern part of the stadium has three tiers, while the last two stands alongside the pitch are back to two tiers, but have the size of the three-tiered southern stand. 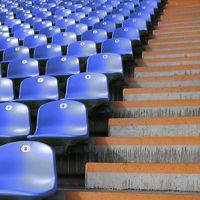 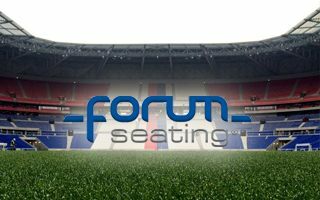 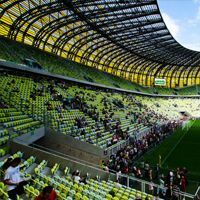 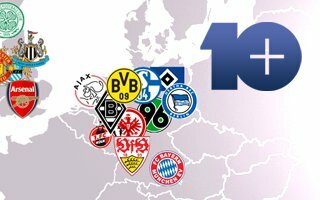 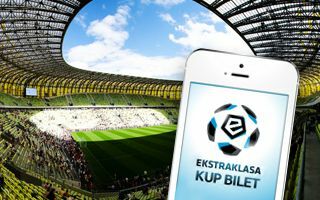 Together all these sections give a capacity much exceeding the UEFA-set minimum for a Euro 2012 venue with the number of seats reaching 43,269. 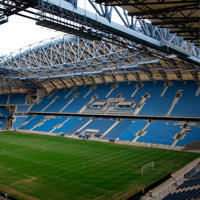 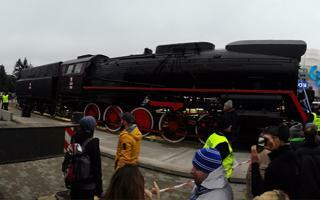 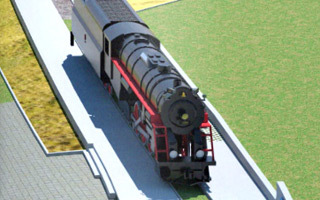 Immense roof is carried by four steel thrusses anchored in the corners of the ground. 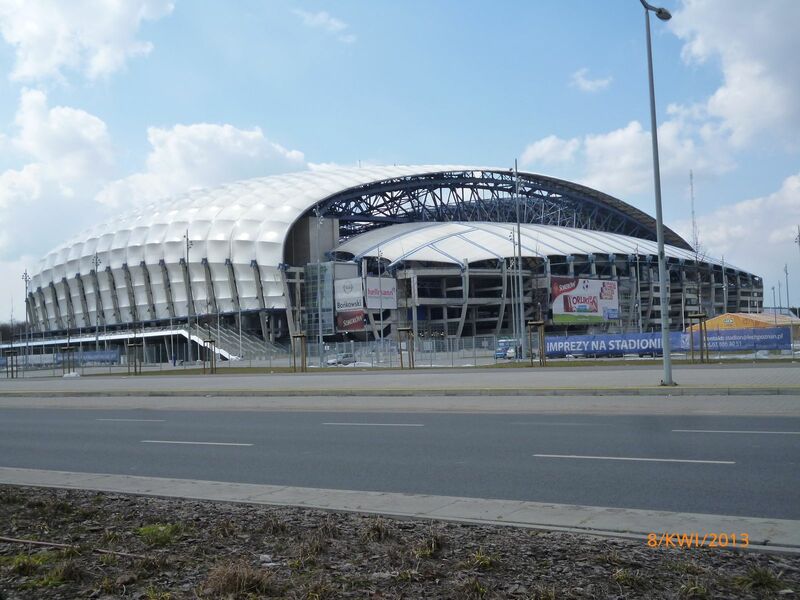 The steel construction weighs a massive 7,000 tons and is base for white membrane covering the stands and partly also facades of the stadium. 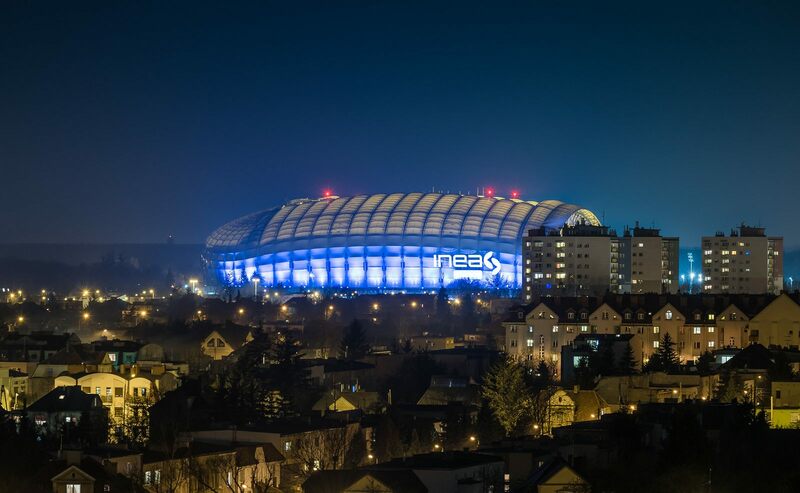 The facade part may have dynamic illumination at night which is used at various occasions. 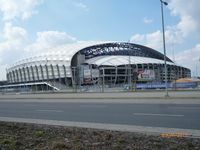 Final cost of the ground proved to be much higher than expected during construction. 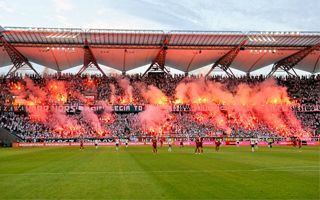 From 2003 to 2011 (when a ramp for away fans and catering facilities were paid for) it consumed PLN 746 mln or close to € 185 mln. 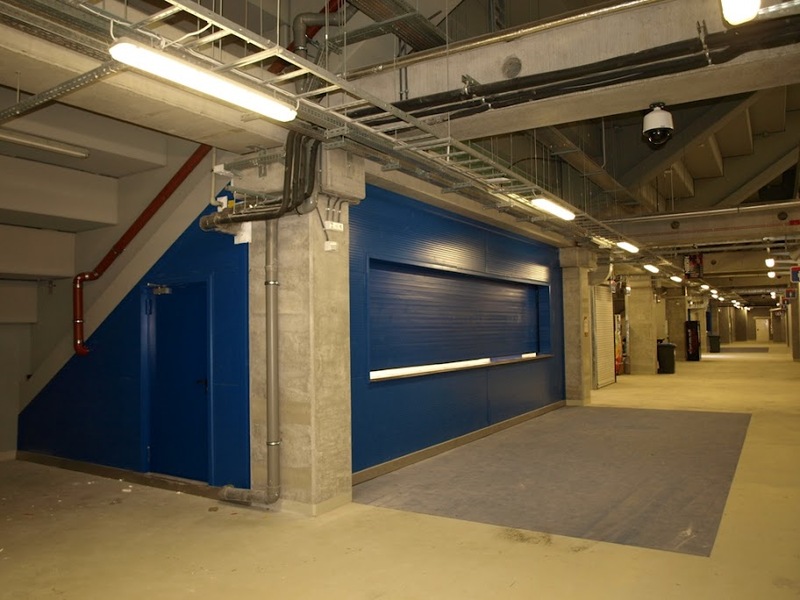 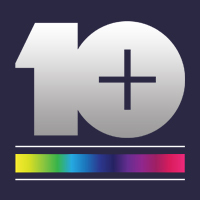 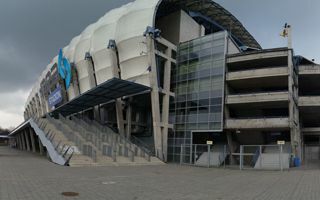 Despite the high price it received a lot of criticism as various facilities were being flooded after nearly any bigger rainfall, while the pitch had to be replaced six times in the first year of operation. 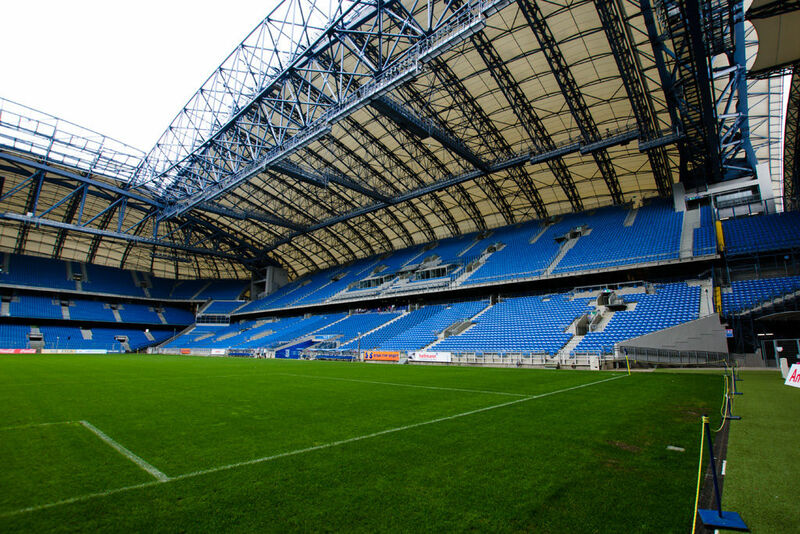 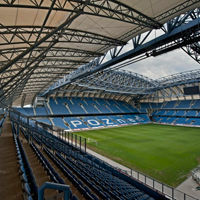 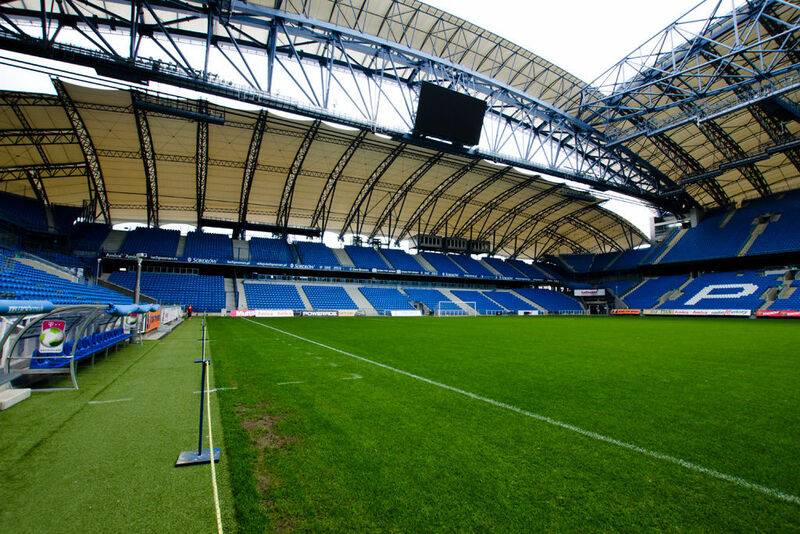 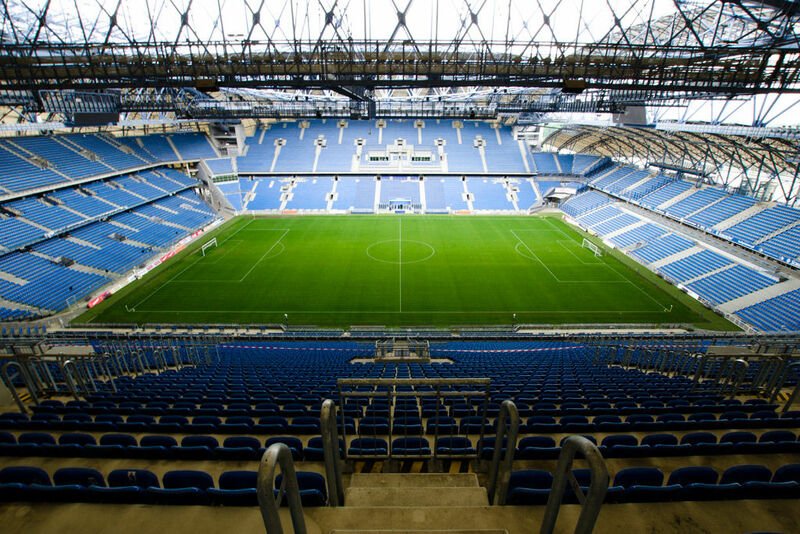 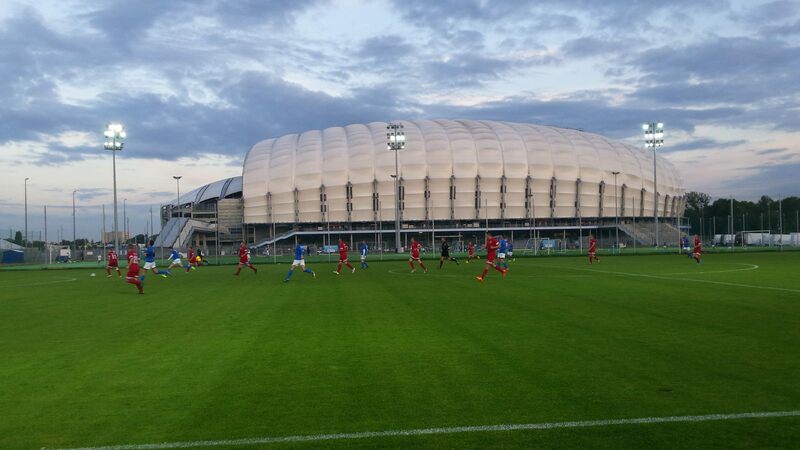 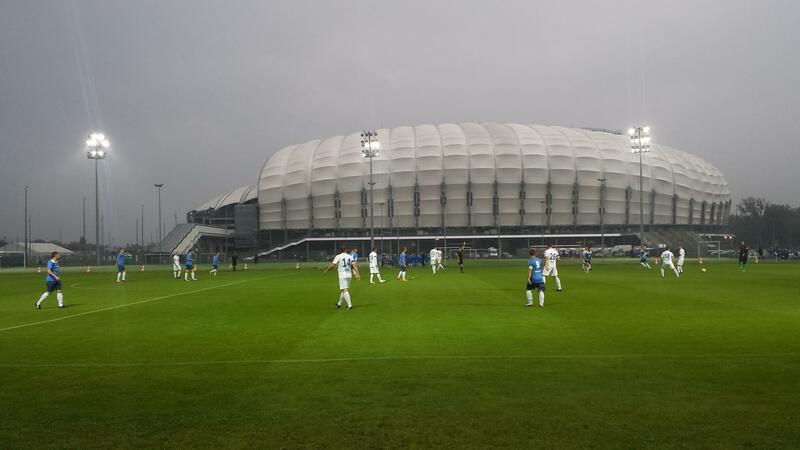 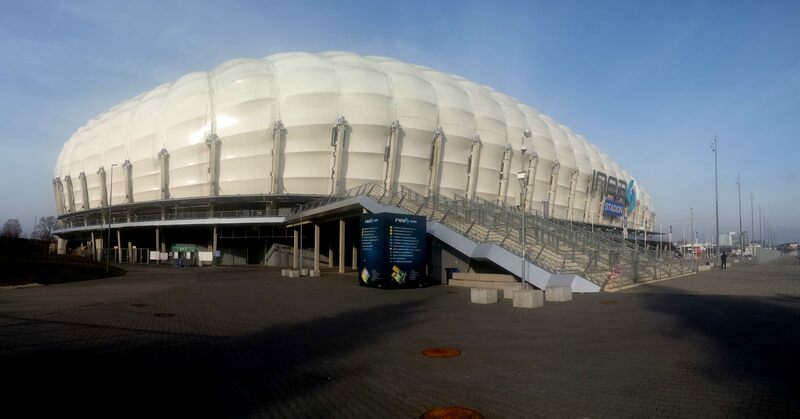 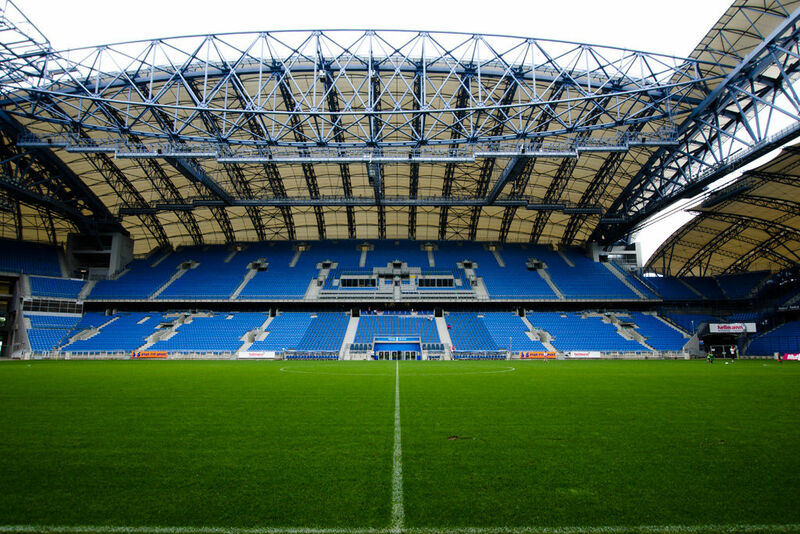 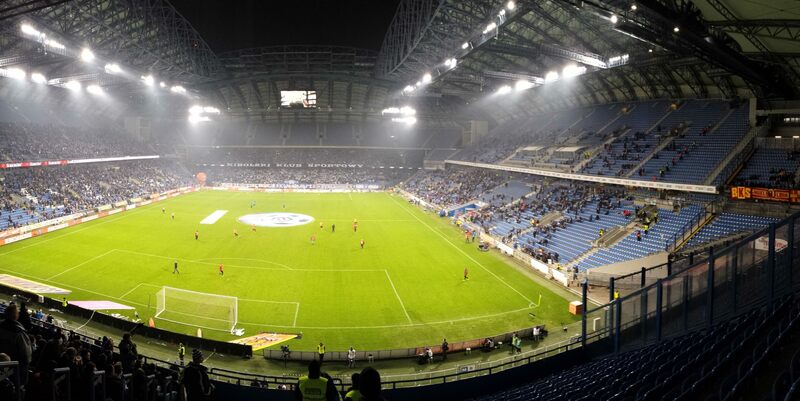 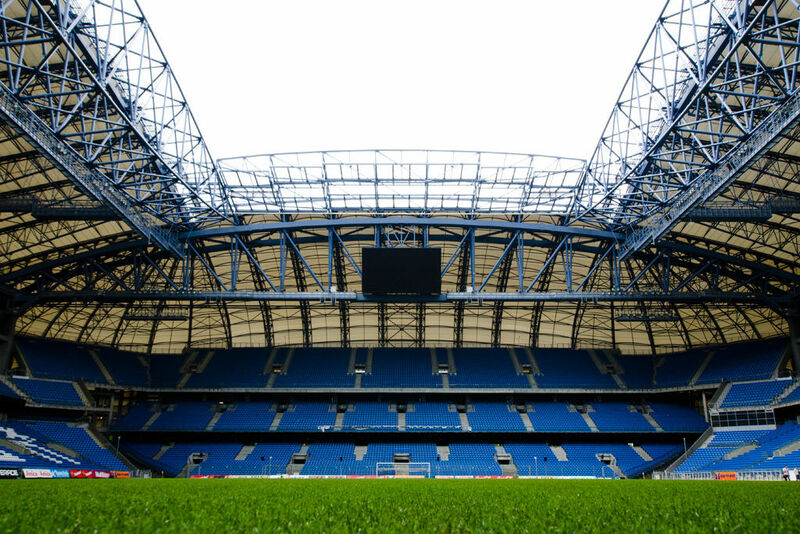 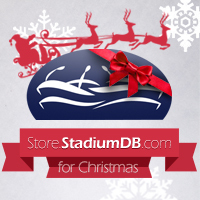 The stadium is managed by Lech Poznań, who also play the role of anchor tenants. 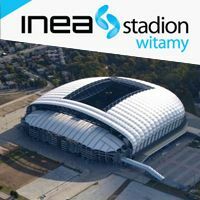 In June 2013 the club landed first stadium naming rights deal, changing the name to INEA Stadion until 2018. 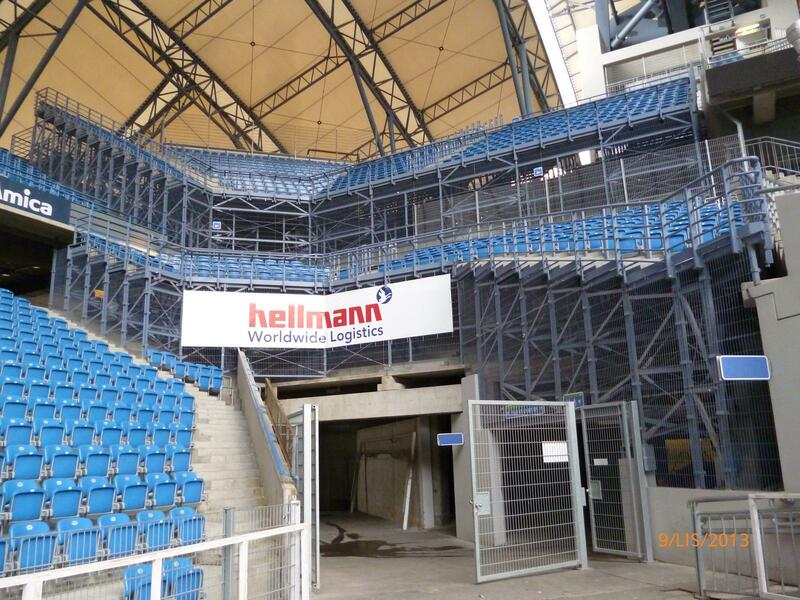 29.08.2013 Poznan: Possible riot over blocking stairways? 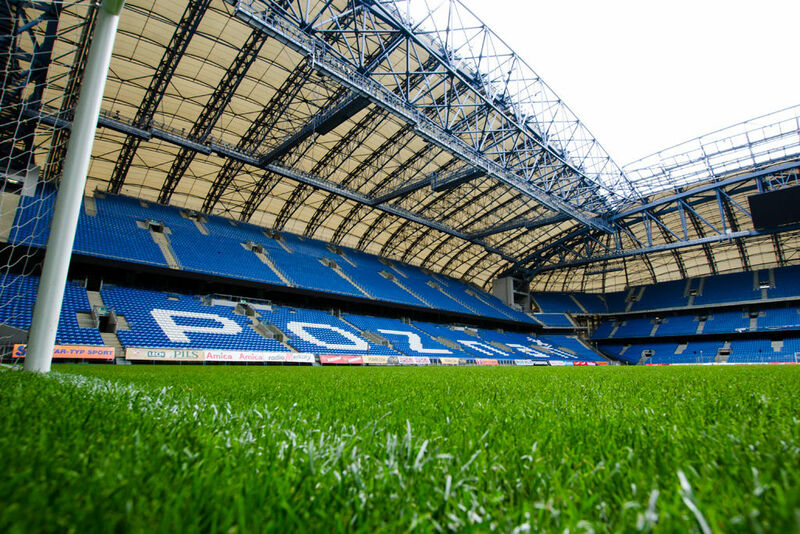 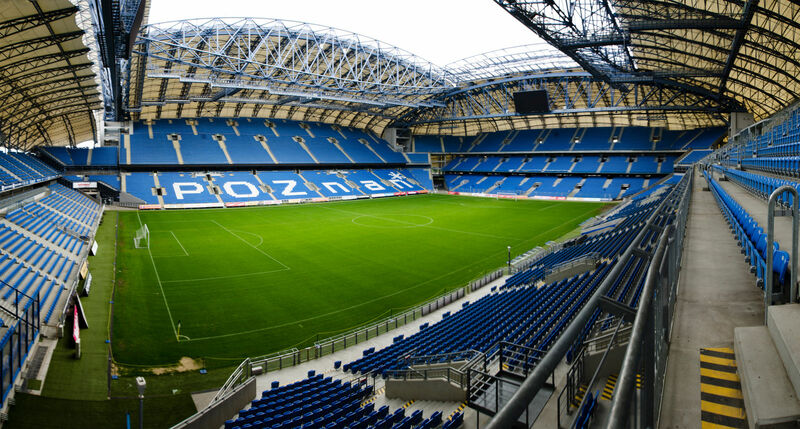 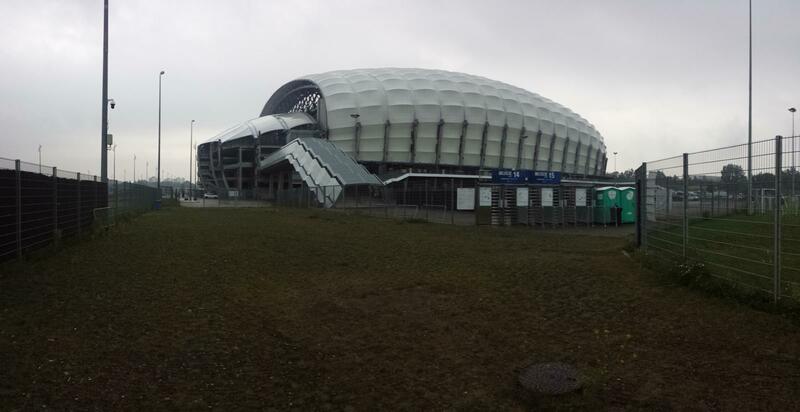 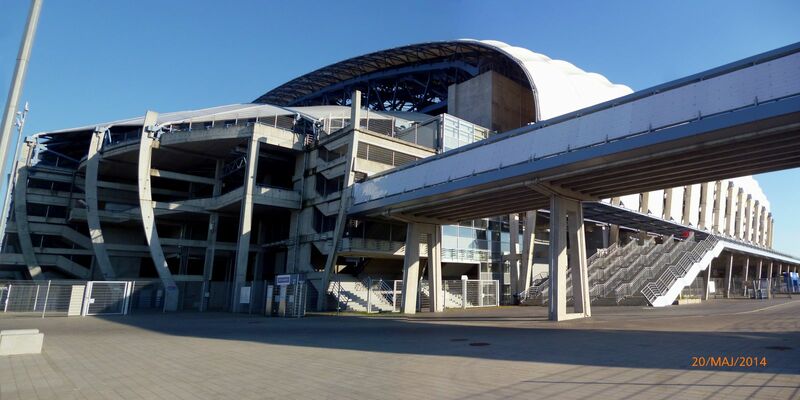 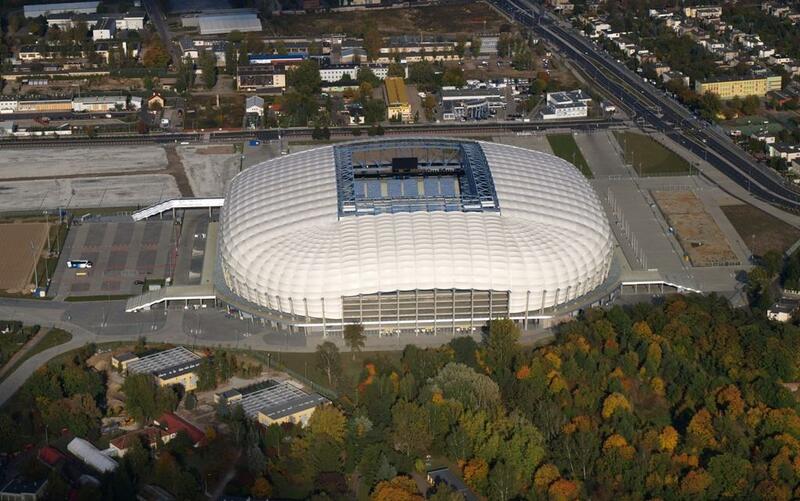 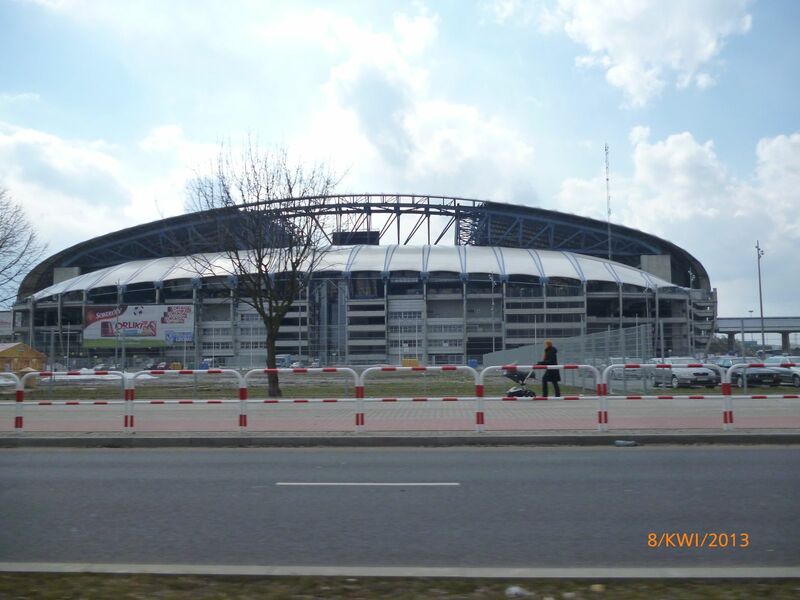 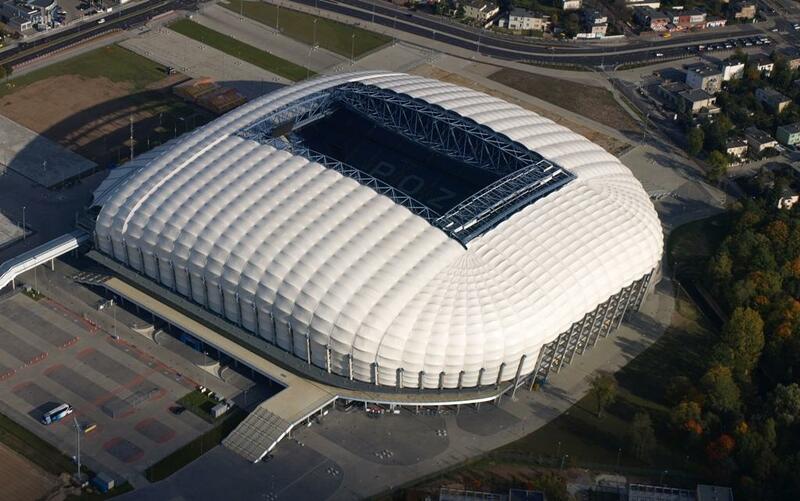 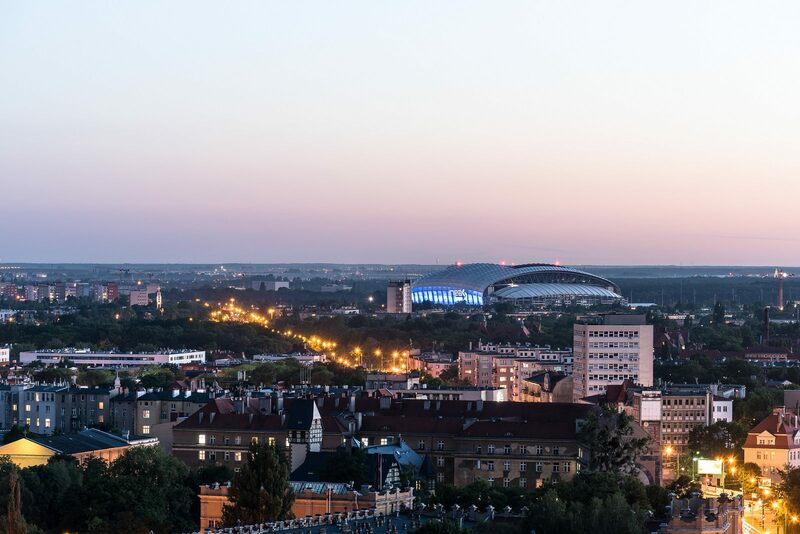 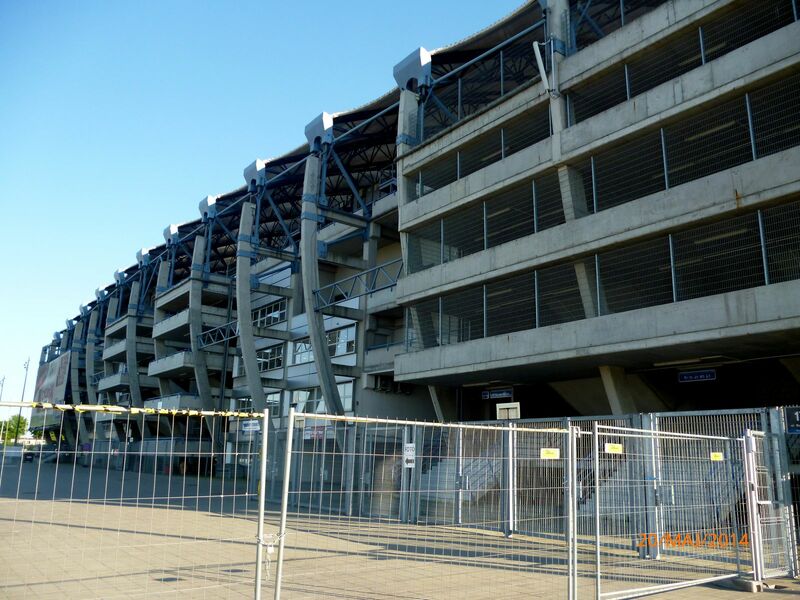 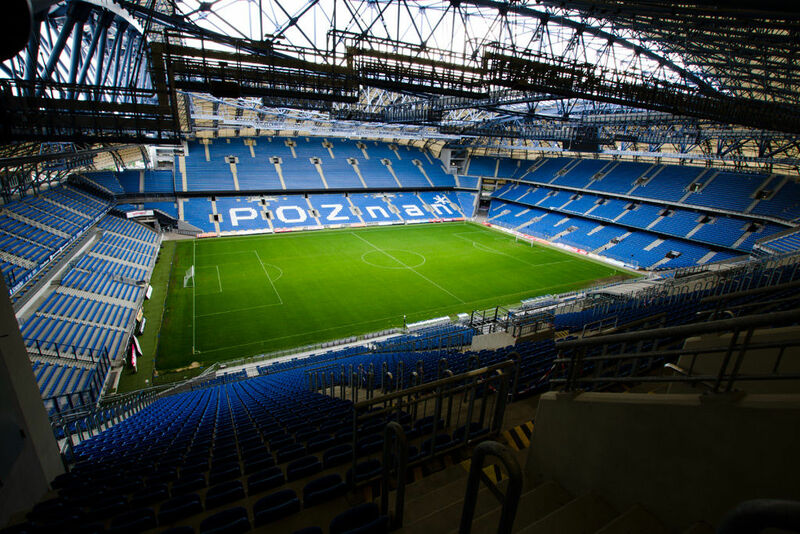 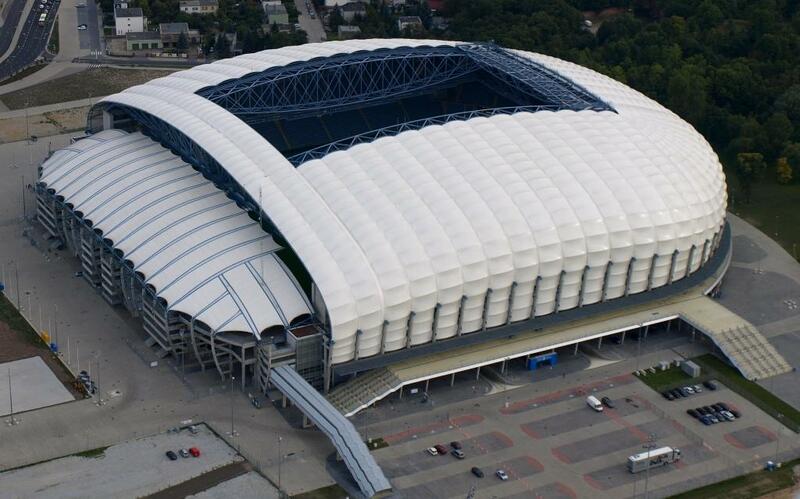 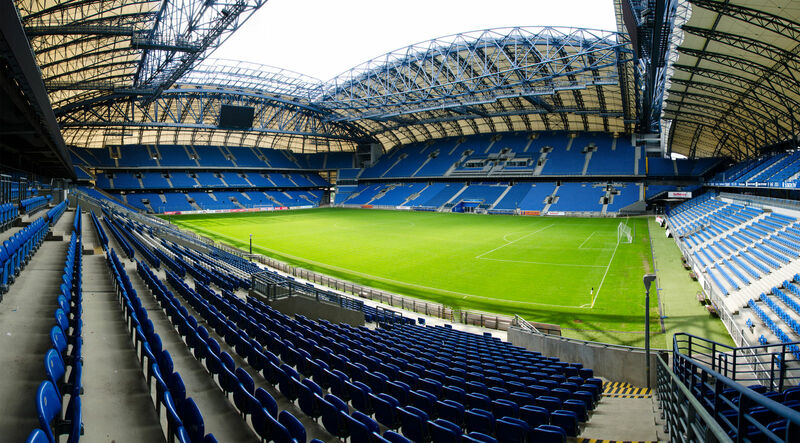 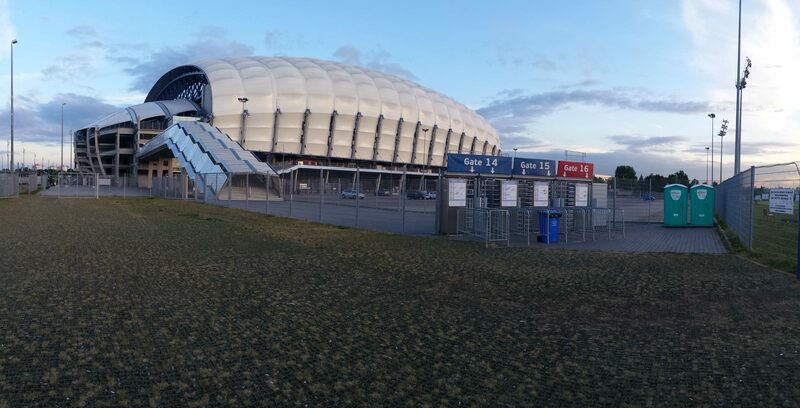 For the past two days police have been practicing interventions at Poznan’s INEA Stadion. 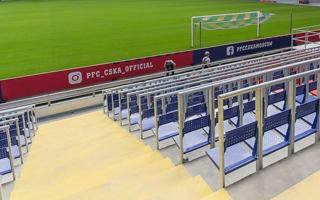 The aim is to clear stairways of one stand, should paramedics need to use them. 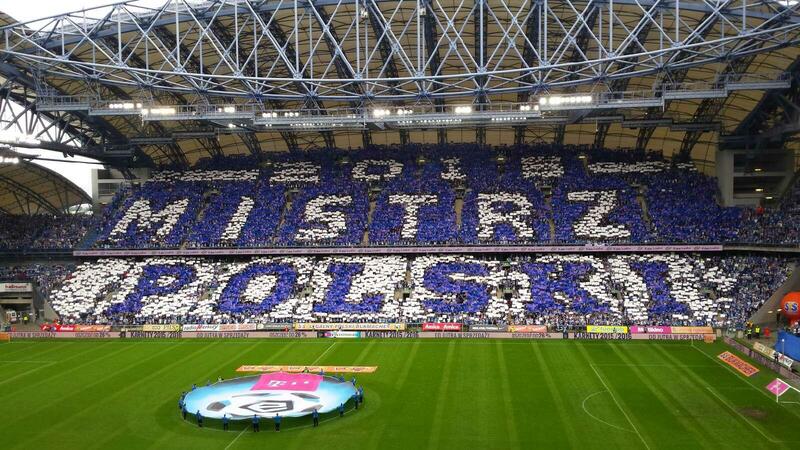 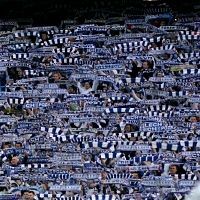 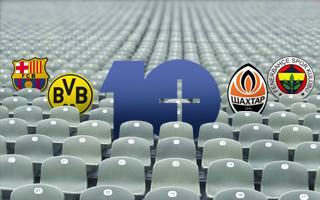 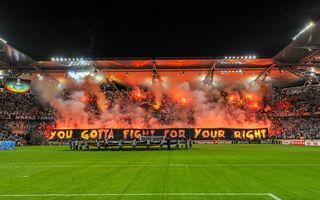 Lech Poznan calls this aggressive stance overzealous, while fans see it as a provocation.